What if you could visualize what your network looks like? Would your connections form clusters or groups? Wouldn’t it be great if you could see the way all your connections are related to each other? Even be able to identify the elusive hubs between your professional worlds? InMaps is an interactive visual representation of your professional universe that answers all of the above questions. It’s a great way to understand the relationships between you and your entire set of LinkedIn connections. With it you can better leverage your professional network to help pass along job opportunities, seek professional advice, gather insights, and more. The old saying that breaking up is hard to do has major resonance in the workplace. It’s not only difficult to quit a job, in some cases people avoid leaving an employer altogether, deciding they’d rather stick with the status quo than take a stab at a new position with a competitor—or even a new career altogether. The fear of the unknown keeps many creative professionals from realizing their career potential or seeking out greener pastures where they might be far happier and more fulfilled. While the mindset makes sense, this sort of career paralysis hurts both employers and employees. After all, unhappy, disengaged workers tend to be unproductive and are last to bring new ideas to the table. That’s why at times, quitting is just the right thing to do, particularly in situations where you feel undercompensated, the structure of your company has changed or a glass ceiling holds you in one position. Then there are the inevitable lifestyle changes—think the arrival of new babies or even age—that demand a corresponding career shift. In short, when you find yourself disengaged in a position, when the company moves in a direction that doesn’t suit your skill set or lifestyle needs, or when Monday morning treks to the office become torturous, it’s probably time to find new work. Still, I meet dozens of disengaged professionals every week who are seeking new positions, some of whom still aren’t sure whether they’re making the right decision. I deliver the same message to each of them: No one cares about your career as much as you, so now is the perfect time to take control. Despite my pep talks, many of the permanent-position candidates with whom we work go through the interview process and turn down offers because they get cold feet. Others are counter-offered by their current employer. Although accepting an offer of a better position or compensation may give them reason to stay aboard, it should make them want to jump ship because it’s only a matter of time before most of these people will be moved out of their job. Why? When management senses disloyalty, those who threaten to leave are often the first to be shuffled internally—or out the door—when the company’s long-term plans change. If you’re stuck in a rut and simply can’t decide whether to wave goodbye to the current creative position that no longer has you thinking creatively, it’s time to look at the opportunity cost of not making a move. How will your career benefit/suffer by staying put? In my next post, how to decide when it’s time to move on, as well as a few tips on finding a new position that suits your career aspirations. Brands may soon be able to advertise in the news feeds of Facebook users who aren’t fans of their pages. The social network revealed Tuesday that it will begin testing promoted posts that can reach people who haven’t “liked” a company’s Facebook page. The ads will look like typical page post ads in the news feed, but will be labeled as “sponsored,” Ta tellsMashable in an email. A screenshot of the ad shows an option to “like” a company’s page in the top right hand corner of the post. “We think this will make it easier for businesses to reach more people,” she says. Currently, only fans who like a brand’s page receive its posts in their news feeds. Last week, Facebook introduced new mobile ad units to help app developers market themselves. The units drive users to new apps to download in Apple’s App Store or Google Play. Facebook says it has directed users to both app stores 146 million times, from early July to early August, through clicks from news feed, timeline, bookmarks and App Center. In June, the social media giant introduced Sponsored Stories for the news feed that are specifically for mobile devices. 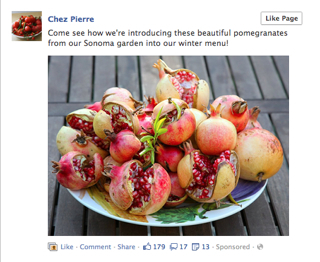 Do you like the idea of promoted posts in your Facebook news feed? Tell us in the comments below. Nearly 2 billion Facebook shares could come to market in the next nine months as lockup rules expire. LinkedIn is not the sexiest social media firm. 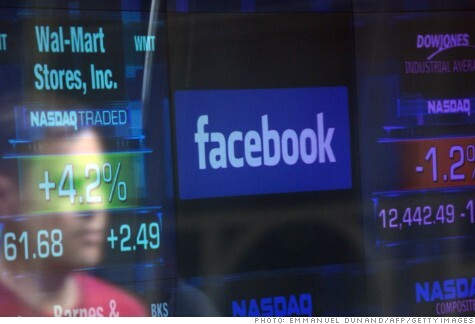 But its earnings were solid and may even help lift Facebook’s stock. NEW YORK (CNNMoney) — Facebook’s post-IPO life has been rocky, and on Thursday it will face one of the toughest times for a newly public company: the first day that some insiders are allowed to dump the stock. Like many initial public offerings, Facebook’s May 18 debut included a “lockup” agreement that requires some shareholders to hold on to their stock for a certain period. When a company’s locked-up shares are set free, the stock typically tanks, since millions of new shares flood in at once. Facebook’s first reckoning day is here. Insiders will be free to sell off about 271 million shares on Thursday. Since Facebook (FB) has lost nearly half its value since its debut, some may jump at the chance. The reasoning behind lockups, which usually last 90 to 180 days, is to prevent the market from being swamped with too many of a company’s shares immediately after an IPO. Keeping stocks scarce can help boost their value. Facebook’s fellow newly public Internet companies felt the pain when their lockups ended. LinkedIn (LNKD) slumped as much as 7% on its lockup expiration day, and Groupon (GRPN) fell 10% to hit a new low. Thursday is only the first in a series of lockup expirations for Facebook. Its unusual, tiered system means several more waves are coming, and a total of 1.8 billion shares could hit the market in the next nine months. Ken Sena, an analyst at Evercore Partners, warned in a note to clients that the stock drag “is likely to be drawn out” because of the staggered schedule. But S&P Capital IQ analyst Scott Kessler shrugged off the concerns, and even upgraded his rating on Facebook to “buy” from “hold” on Tuesday. “We do not expect early employees and investors will be aggressive sellers of FB shares at current levels,” he wrote in a client note. The big Facebook stock dump could come in mid-November. That’s when Facebook will convert the special form of restricted stock units, or RSUs, held by most of its staff into actual shares of its stock. Facebook plans to withhold a big chunk of its employees’ shares — roughly 120 million — and sell them on the open market to cover the tax bill. Selling off so many shares at once could hammer the company’s stock price. So Facebook has a Plan B: It can tap its credit lines and cash reserves to pay off the tax bill without issuing equity. A Facebook representative declined to comment on which route the company plans to take. Facebook has carefully lined up its options. It took out a $3 billion credit line specifically earmarked for the potential RSU-linked tax bill, and it’s currently sitting on $10 billion in cash. At Facebook’s current share price, the tax bill would total around $2.6 billion. If its stock price keeps dropping, that bill will shrink further. Facebook did get a vote of confidence from one investor last week. Netflix(NFLX) CEO Reed Hastings, who’s also a member of Facebook’s board, disclosed to regulators that he recently bought $1 million worth of shares in the social network.